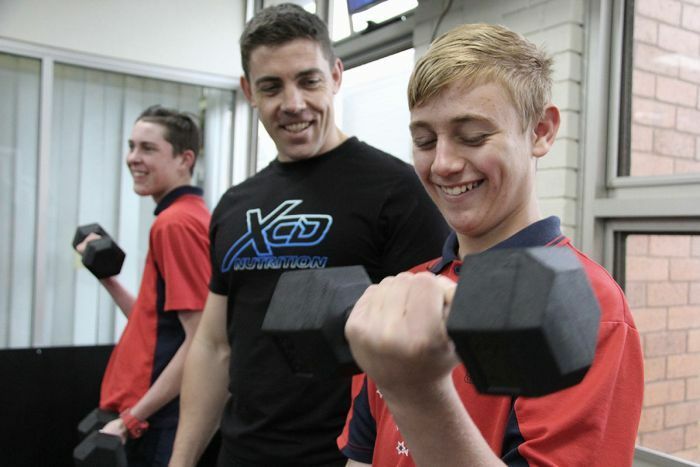 A boot camp for at-risk youths on Queensland’s Darling Downs is using body building to help channel the students’ anger and teach them discipline. Teachers at Toowoomba State High School said the results had been life-changing and now other schools were looking to implement similar programs. 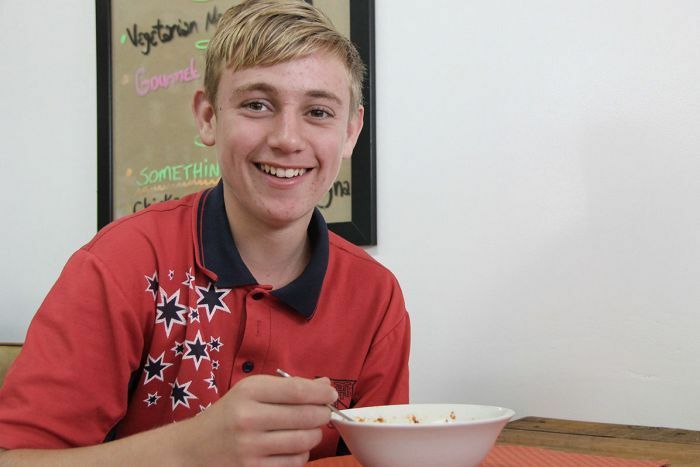 Zac Agoston, 15, is one of six students trialling the program. He said he had always found school difficult and sometimes was not proud of his behaviour. “It’s always been hard for me because I’ve had problems with reading, writing and spelling,” he said. “I tend to yell, scream, sometimes punch things. Joshua Praeger founded the Deadly By Design Boot camp and agreed Zac needed to change his ways. “Zac at the start was pretty quick to lose interest in things … he was a bit of a clown,” Mr Praeger said. Mr Praeger said body building sometimes got a bad wrap but said it could teach students important lessons. “Body building isn’t just a bunch of meatheads in a gym throwing heavy weights around,” he said. “There is intelligence and discipline involved. “It helps you set very clear goals and then you need to work very consistently towards it to be successful. Zac said the classes had helped him understand what he needed to achieve his goal of enlisting in the air force. “I need to pass maths, English and science,” he said. Zac said exerting himself in the gym had also been a good outlet for his angst. “It helps me get out all the anger and stuff I’ve built inside me,” he said. Youth support coordinator Shane Adshead agreed and said the program had helped the students understand the role school played in their future. “They’re seeing school as something that’s really relevant it’s not something where they go because they have to go,” he said. Zac said he was now on track to pass grade nine and his future was looking bright.